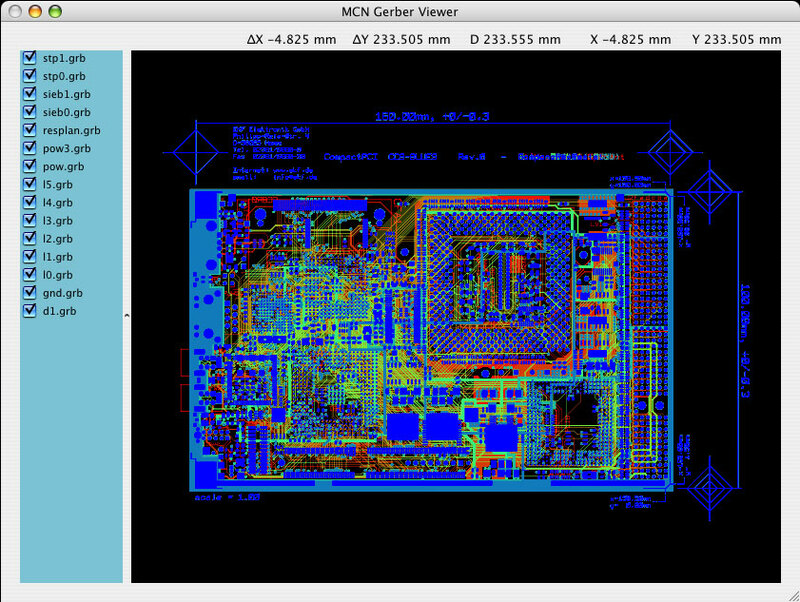 MCN Gerber Viewer is a Macintosh Mac Os X application for viewing and printing electronic PCB data files. Supported formats are Gerber-X (RS-274X), Gerber-D (RS-274D) and Excellon. MAC OS X 10.6 or later. ATTENTION: Intel machines only. MCN Test Screen is a Macintosh Mac Os X application to help you discovering anomalies on your computer's screen, like dead pixels, dark areas or dots on the back light.